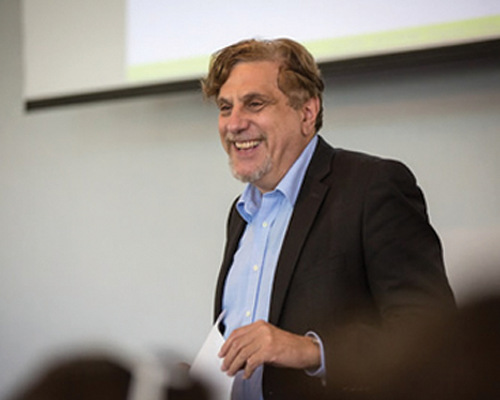 Gil Noam, Ed.D., PhD, is the founder and director of Program in Education, Afterschool and Resiliency, at Harvard University. Dr. Noam has a strong interest in translating research and innovation to support youth resilience in educational settings. He has published two hundred-plus papers, articles, and books on child and adolescent development- and risk and resiliency-related topics. What are the accomplishments you are most proud of? My team and I created a "translational center," PEAR at Harvard and McLean, that moves back and forth between after school practice policy and research. I always had the dream that universities would make significant contributions to our communities and to create scholarship that is directly benefiting children and youth. I believe that we have made great strides in that direction. Where do you see the field in ten years? afterschool practices to schools, families, and children, all day and all year. What are the biggest opportunities for the afterschool industry? First, I believe right now that the cutting edge for afterschool is to demonstrate in the area of STEM how exploration, inquiry, and engagement can make students better learners. Second, I believe the focus on socio-emotional development, natural to most afterschool settings, will increase health and success in children and youth. These two organizing principles, delivered through the mediums of arts, sports, and civic activities, are bringing children and adults closer together and will convince everyone that the afterschool hours are essential, require funding, and need to be high-quality. What are the biggest challenges facing afterschool? Fragmentation, funding, training, and status. What makes an afterschool program successful? A place where adults and children encounter each other, have fun together, and where deep learning occurs in a safe and nonjudgmental setting. Edited by Amy L Charles, editorial director of AfterSchool Today magazine, the Official Publication of the National AfterSchool Association. 1. Noam, G. G., & Miller, B. (2002). Youth Development and After-School Time: A Tale of Many Cities. New Directions for Youth Development, 94 (3). 2. Noam, G. G., Biancarosa, G., & Dechausay, N. (2002). Afterschool Education: Approaches to an Emerging Field. Cambridge, MA: Harvard Education Press. 3. Noam, G. G. (2004). Afterschool Worlds: Creating a new social space for development and learning. New Directions for Youth Development, 101 (2). 4. Noam, G. G., & Wahl-Moehlman, L. (2005). The four C's of afterschool: A new case study method for a new field. In: Paper Series of the Baun Foundation. New York: 2005. 5. Malti, T., Liu, C. H. J., & Noam, G. G. (2010). Holistic assessment in school-based, developmental prevention. Journal of Prevention and Intervention in the Community, 38, 244-259. 1. Noam, G. G. (1996). High-risk children: Transforming our understanding of human development. Human Development, 29, 1-17. 2. Noam, G. G., & Fischer, K. (1996). Development and vulnerability in closer relationships. New Jersey: Erlbaum. 3. Noam, G. G.(1998). Clinical-developmental psychology: Towards developmentally differentiated interventions. In I. Sigel & A. Renninger (Ed. ), Handbook of child psychology: Vol. 4. Child psychology in practice (pp. 585 - 634). New York: Wiley. 4. Noam, G. G. (1999). The psychology of belonging: Reformulating adolescent development. In L. Flaherty & H. Horowitz (Ed. ), Adolescent psychiatry, development and clinical studies, Volume 24 (pp. 49 - 68). Hillside, New Jersey: Annals of the American Society for Adolescent Psychiatry. 5. Noam, G. G., & Hermann, C. (2002). Where education and mental health meet: Developmental prevention and early intervention in schools. Developmental and Psychopathology, 14, 861-875. • Documenting the nature of student participation and learning in science activities in "typical" (non-science-specific) afterschool programs, and the infrastructure required to support these programs through an NSF-funded ILSA project (2008-2010). • Development of PEAR Impact training curriculum, training prototypes and the piloting of the program in two school districts and one youth-serving organization through the "Train the Trainer" program funded by the Alden Trust (2009-2011). • Increased the number of users and visits to the ATIS website, added ratings and reviews for each tool, and added new tools to the site through the "Marketing and Improving the Assessment Tools in Informal Science Website" project funded by the Noyce Foundation.